Discover a hand-picked selection of cabin resorts, rentals, and getaways in Glacier National Park. 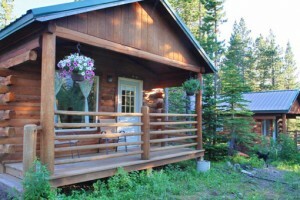 Exceptionally-priced cabins for Glacier visitors. Balcony & decks showcase wildlife, enjoy fishing & rafting down the street. Amtrak stop 5 minutes away. Gorgeous gardens. You'll love our chalet-style 1, 2 and 3-bdrm cabins which offer full kitchens, living room and outdoor decks overlooking Glacier Park. Also, on-site activities like rafting. Warm mountain cabins on the Continental Divide. Outstanding steakhouse on-site, plus full bar. Look out to see moose in the pond, eagles in the sky & incredible scenery. 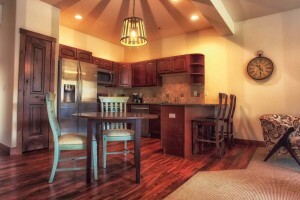 Choose from unique cabins, luxury loft suites or luxury apartment all located minutes from Glacier's west entrance. Like-new properties with fine furnishings, yet affordable. 22 private log cabins set on 40-wooded acres offers unique lodging. 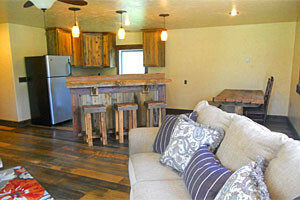 Cabins include kitchens, HD TV and free Wi-Fi. Resort features hot tubs, a sauna and a conference center. Select from private lodge suites, or suites in our luxury Amish-built cabins sleeping 6-10 each. Large cope logs keep warmth in and weather out. Featuring terraces & BBQs. 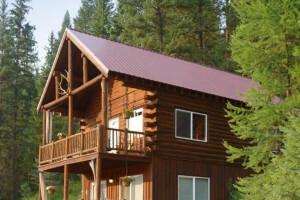 Warm, well-maintained Montana Cabins are just one reason to enjoy a 6-night stay at our all-inclusive Montana guest ranch. Tons of fun, gorgeous scenery, and awesome food. Book an adventurous all-inclusive vacation at this ranch or rent our nightly cabins or chalets. Great restaurant onsite too, just minutes outside East Glacier. 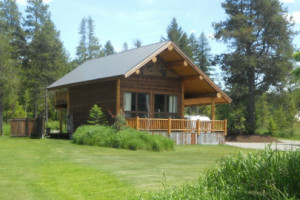 Three gorgeous cabins just steps from the shores of Flathead Lake. Situated on 15-acres, amenities include fine linens, WIFI and fireplaces. Located outside of the east entrance to the park, this rustic and affordable lodge features 10 guest rooms, RV park, and a full service restaurant and lounge. 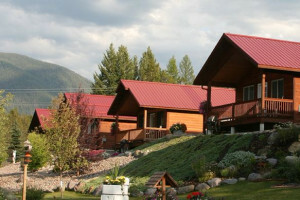 Pet friendly cabins located on Kennedy Creek just outside Babb, MT, on the east side of Glacier Park, with great views of Chief Mountain and Waterton Lakes Nat'l Park. Featuring four distinct B&B guest rooms, all with a rustic Montana décor and private bathrooms, plus 3 new fully-furnished cabins (w/kitchens) sleep 4-6 each. Warm inviting cabins just 5 minutes to the Park entrance, coupled with a charming general store filled with food, gifts, photography & more. Comfortable and affordable cabins located 2.5 miles from St. Mary in a wooded area on the eastern edge of Glacier near the shores of Lower Saint Mary Lake. Enjoy new modern cabins w/kitchen amenities that sleep 4 each, plus family size sleeping 6. Day trips to popular lakes & Glacier Park. Handsomely appointed with rich western-style furniture and Native American art, each guest room features TVs, fine linens, fireplaces and private patios. Spanning 3 generations and 63 years in business, the Johnson family featured gorgeous cabins, 75 camp and 82 RV spaces, all with gorgeous views of St. Mary Lakes & Glacier. 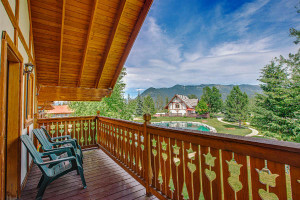 Offering prodigious panoramic mountain views that inspire plenty of gazing from high-peaked windows and spacious decks. Luxury amenities that everyone will love. Just 10 minutes from Glacier's west entrance, this resort features 50 RV sites and 4 camping cabins in a wooded setting, with showers, wifi, pet friendly, and fishing pond. 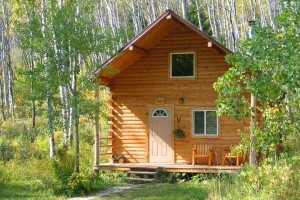 Seasonal quality cabin lodging on the western edge of Glacier National Park. Located just five miles before the Polebridge entrance to Glacier Park. We have an absolutely gorgeous view of the mountains surrounding the eastern entrance to Glacier National Park. Warm, budget-friendly accommodations and 11 RV spaces. 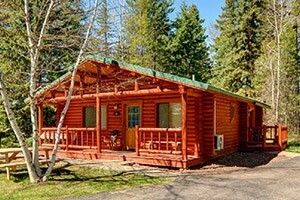 8 traditional and nicely decorated park-style cabins offer comfortable lodging in this East Glacier location. Enjoy kitchenettes, fireplaces, covered porches and great view.